Riots that broke out on the streets of war-torn Somalia’s capital Mogadishu on June 10 were expected. Tension had been building for more than a week since an agreement signed in Kampala on June 9 called for the ouster of the country’s popular Prime Minister, Mohamed Abdullahi Mohamed aka Farmajo. What was an unexpected was the killing that day of Somalia’s Interior Minister Abdishakur Sheik Hassan, who also was minister for National Security. He was killed together with a woman suspected of being a bomber. The attack occurred in the sitting room in his two-storey gated building that is normally well protected and is an area housing government officials near the Foreign Ministry. The two incidents, however, cupped one of the most eventful, if not bloody, weeks in Mogadishu since AMISOM, the African Union and UN-backed peacekeeping force began capturing territory from the al Qaeda-backed al Shabaab fighters. Before the June 10 riots and killing of the minister, the following major events had happened in the week that began on June 5 and ended on June 11. June 5: Lt. Col. Patrick Sibihwa and three others killed by the al-Shabaab in Somalia. Sibihwa was the first high ranking UPDF soldier to be killed since Uganda deployed troops in the war-torn country in 2007. June 7: Fazul Abdullah Muhammed, East Africa’s suspected leader of al-Qaeda killed at a roadblock of the Transitional Federal Government forces in Mogadishu. Fazul was suspected of having played a key role in the 1998 US embassy bombings in Kenya and Tanzania. He became the most wanted man in Africa with a $5m bounty on his head after the 1998 attacks, which killed 224 people. He was killed with two others. June 8: Somali President Sharif Ahmed and speaker of parliament Sharif Hassan Sheikh Aden arrive in Kampala to meet President Museveni following intense disagreements and tensions regarding extending the mandate of the Transitional Federal Government (TFG) threatening Somalia’s peace process as TFG faces exit at the end of its term in August. The Prime Minister accused the Speaker of dishonesty, indecisiveness and failing to respect the will of the Somali government and people. June 9: Kampala Accord signed between Somalia’s president and speaker of parliament under the auspices of President YoweriMuseveni effectively extending the TFG’s rule by a year and postponing the August elections. The accord stipulates that the prime minister’s mandate ends within 30 days and for his successor to be named by the president and approved by parliament in 14 days. The momentum of some events of the bloody week can be traced to June 2 when President Museveni opened the International Contact Group’s meeting in Kampala and proposed an extension of the Somalia government’s mandate by one year to August 2012. 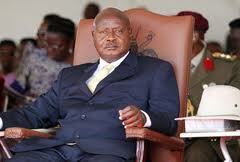 Several delegates at the ICG meeting opposed Museveni. But he warned them that unless his position was taken, he would withdraw the Ugandan contingent, which forms the bulk of the 9000-strong AMISOM force. “The consequences of AMISOM withdrawal will be grave, leaving Somalia in anarchy,” Museveni said. The meeting broke up without a joint communiqué that had been planned being issued. According to some sources, it was the first time that the ICG meeting failed and some Somali intellectuals have said Museveni’s proposal could lead to an intensification of hostilities in Mogadishu. Already, it has widened the rifts within Somalia’s Transitional Governing institutions. The Prime minister, a Somali-American, had in seven months since he was appointed gained popularity for establishing a sense of government in a country that has had no effective administration since the last national government was ousted in 1991. Farmajo had managed to pay salaries to government workers and soldiers, and fought corruption. His stint also witnessed rapid advances by AMISOM to wrest large swaths of territory from al-Shabaab in Mogadishu and southern parts of the country. The New York Times said Western diplomats believed Mohamed had proved himself as one of the more capable and professional politicians in Somalia, and attributed his departure to back-room politicking. According to an AP report, the protesters believed Somalia’s President, Sharif Sheikh Ahmed, sacrificed Farmajo to stay in power. As a sign of things to come, when the protesters blocked roads with rocks and burned tyres while chanting “Stay Put Farmajo” on June 10, two of them were killed when security forces opened fire. However, the protesters also burnt pictures of Augustine Mahiga, the UN envoy to Somalia whom they accused of pushing forward the agreement to kick out Farmajo. Mahiga had chaired the 19th Meeting of the International Contact Group on Somalia, an informal body of mainly ambassadors of western countries, in Kampala on June 2 when Museveni proposed extending the TFG’s term in office. On June 14, Farmajo had publicly rejected calls to resign as demanded by the Kampala Accord. On June 19 Farmajo resigned as demanded by the Kampala Accord signed between Somalia’s President Sharif Sheikh Ahmed and speaker of parliament, Sharif Hassan Sheikh Aden. In an announcement he made after a meeting with UPDF’s Chief of Defence Forces Gen. ArondaNyakairima, he said his resignation was in national interest. Uganda contributes the biggest number of the 9,000 African Union soldiers who keep the government in place and Islamist insurgents at bay. This gives it immense clout in Somalia. Secondly, the AMISOM mission in Somalia has borne significant results recently. As a new commander, UPDF Maj. Gen. Fred Mugisha takes over AMISOM command, 8 of the 16 districts of Mogadishu are under full control of TFG/AMISOM, 5 are contested, while only 3 remain under full control of the alShabaab, according to the AMISOM spokesman, Maj. Paddy Ankunda. The area AMISOM/TFG controls is about 60% of the total area of Mogadishu but has 80% of the population. Ankunda attributes this to the continuous support of the Somali people. The TFG now controls Dhenkenley, Wadajir, Hoden, Bondere, Medina HamerJabjab, Xamar Wayne, Shangami, Abdulaziz and Wadari districts, which make up over 60% of Mogadishu. “Our forces have become more offensive and the fight is now in the al Shabaab’s half,” Ankunda said, “I think with more troops and logistics, Mogadishu should fall soon.” Although the AMISOM mandate has not changed, its Rules of Engagement have and now allow the force to be more robust in the conduct of offensive defence. Still, Ankunda could have spoken too soon. Since February, fighting in Somalia has intensified. Although more areas have fallen into the hands of the frail TFG backed by AMISOM forces, the cost in men and resources has been high. The June 5 killing of Lt. Col. Patrick Sibihwa, the first high ranking Ugandan soldier to fall in the mission, is the most visible. But on the day Sibihwa was killed three other soldiers that included a lieutenant were gunned down. But Ankunda says the high cost does not come as a surprise. “Somalia is not for the faint hearted. We knew from the onset that peace for Somalia would come at a cost. So Lt. Col .Sibihwa and others did not die in vain, he died for the right cause. Even with these mishaps, AU will not abandon Somalia. This would be like running away from a problem in your home,” he said in an interview with The Independent. Since 2007 when Uganda first deployed in Somalia, at least 46 UPDF soldiers have died and over 167 wounded in the mission. The death toll keeps rising. Another 80 people were killed in an al-Shabaab terror attack on Uganda’s capital Kampala last July. But the death toll is higher for the Somalis and TFG government officials including ministers who have been killed by insurgents. Recently Somalia’s interior minister was killed by an al-Shabaab suicide bomber. The cost, in men, material, and money, of the Somalia war has become an issue since President Museveni announced in September 2010 that he is ready to deploy between 12,000 and 20,000 UPDF troops to Somalia to bolster the 9000-strong contingent already there if logistics are availed. However, the unending infighting within the TFG government remains one of the major thorns in the success of the AU- backed AMISOM in restoring order in Somalia; otherwise the fortunes of the Somali stability have increased with the killing of Fazul Abdullah Mohammed the leader of East Africa’s al-Qaeda cell. Fazul who was killed after he mistakenly landed in the TFG forces roadblock, was not only head of al Qaeda’s East African cell, but also a key player in al Shabaab operations in Somalia. Ankunda said Fazul’s death could have been as a result of severe internal rifts between local and foreign al Shabaab groups. “Without doubt this leaves a big hole both in al Qaeda and al Shabaab ranks. It is also a good indicator of a more committed TFG force that is well taking shape to tackle the daunting security challenges in their country.” Internally, Al-Shabaab is battling divisions along clan lines and a fight for command between Somalis and their external backers. The infighting in Somalia’s struggling TFG government has blinded the Somali leaders on the need to take advantage of the emerging weaknesses of the al-Shabaab, who claimed the lethal attack on Ugandan soccer fans in the July 11, 2010 twin bombings on Kampala. If Fazul’s death was good news for AMISOM and Somalia, the announcement by al-Qaeda of its new leader following the slaying of Osama bin Laden on May 2 was bad news. The new al-Qaeda number one, DrAyman Al-Zawahiri, is a 60-year old Egyptian, whose previous involvement in Somalia, if renewed, could impact the equation of the war there. Al-Zawahiri has keenly demonstrated interest in the war in Somalia when, in 2007, he called for a jihad against the Ethiopian troops that had invaded Somalia. By then the Ethiopian troops were backing the weak Somali government that was battling the fighters of the Union of Islamic Courts. Just two years ago, in 2009, al-Zawahiri personally was in the Somali town of Marka, 90 km from Mogadishu meeting the al-Shabaab fighters. His coming to Somalia was understood as a token to morale-boost the al-Shabaab insurgents against AMISOM/TFG forces. All these diverse intricacies combine to give the Somali military conflict a more complex and unpredictable direction. Will AMISOM emerge victor or villain? That’s the one million dollar question.